CAMP SIMEON OLA, LEGAZPI CITY, May 25, 2017 – The entire police force in the Bicol Region is now on full alert status following the Martial Law declaration in Mindanao of Pres. Rodrigo Duterte. 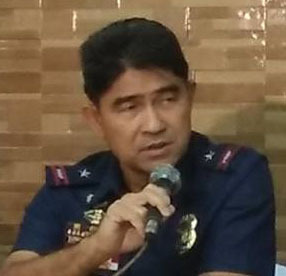 “We will beefed-up our security in port areas, entry and exit points in Region 5 and other vital installations to thwart any passage and hostile action that terror groups might launch in the area and ensure the peak of operational readiness at all times”, PRO5 Regional Director PCSUPT RAMON MELVIN G BUENAFE said in an interview over DZGB-AM, this city.